Again in Singapore for today's picture. 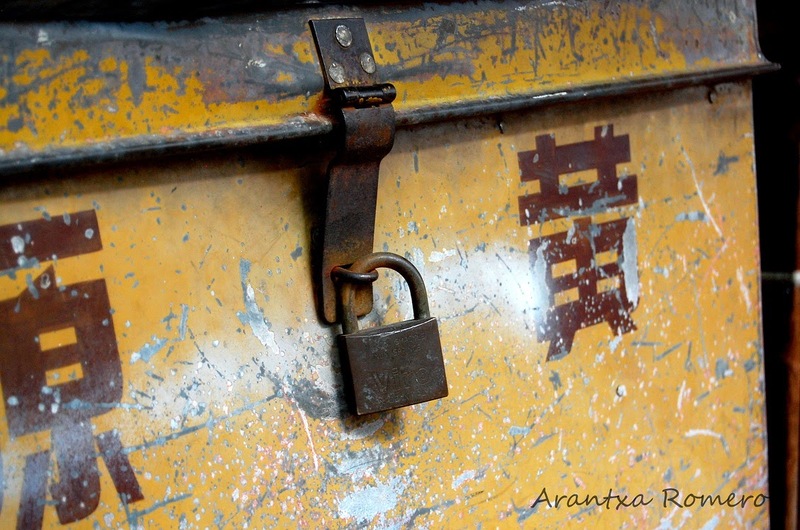 I found this trunk outside a store with some other old stuff during an outing with my photography group in Telok Ayer. De nuevo en Singapore para la foto hoy. Este baul que estaba en la puerta de una tienda con mas cosas antiguas, lo vi durante una salida por barrio de Telok Ayer con mi grupo de fotografia.